Langers Juice - JPMA, Inc.
Our mission is to provide the most amazing juice to the most amazing people. Family owned Langer Juice Company, Inc., has emerged as a major force in the very competitive juice industry. 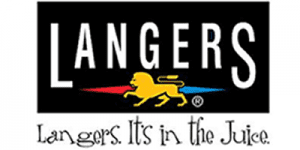 Producing beverages in many of the high volume categories that include apple, cranberry, grape, citrus, pomegranate and tropical blends, the Langer brand can be found in major retailers across the country.